Some days a hot cup of coffee is LIFE. But it isn’t the healthiest daily ritual for the nervous system! When I want a break from coffee but still need an energy boost, I turn to matcha. Plus, making a latte with this green tea is a beautiful, sacred ceremony of the heart. Matcha is finely ground powder made out of a special kind of green tea grown in the shade and ground in the dark. Keeping it out of direct sunlight helps protect its nutrients and keep its chlorophyll levels high. The powder’s bright green color is proof! It has a substantial amount of caffeine (almost the same as a cup of brewed coffee). But the special thing about matcha is it has a compound called L-theanine that induces relaxation. So, you won't get the "coffee high" from a cup of matcha, nor the headaches sometimes associated with coffee. Matcha is packed with antioxidants that are said to help lower blood pressure, bad cholesterol and acne. 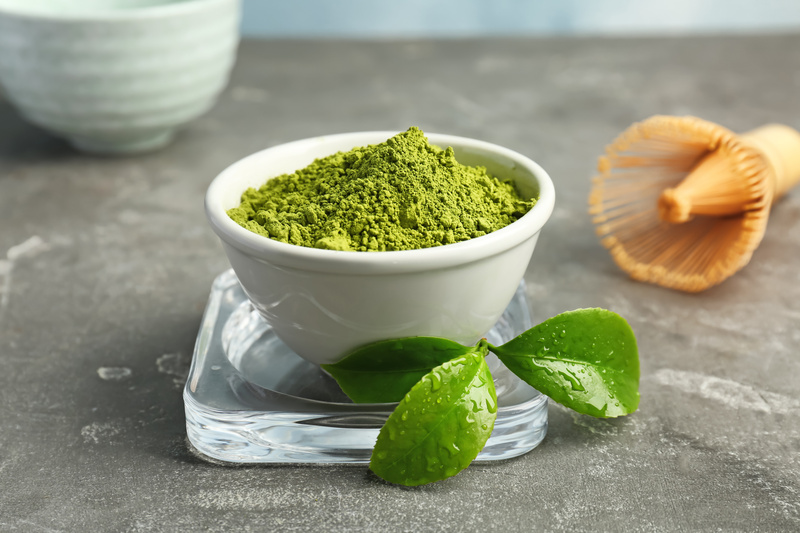 The chlorophyll in matcha is a nutrient some people use to support wound healing and take the stink out of their armpits! Dennis, don’t be surprised if you find me rubbing matcha paste under my arms tomorrow...! For a while, I was completely addicted to my matcha lattes in the mornings! It's delicious and it wakes me up without the hyper-intense energy I get from drinking coffee. So, you get grounded-and-motivated Rachel, not bouncing-off-the-walls Rachel. 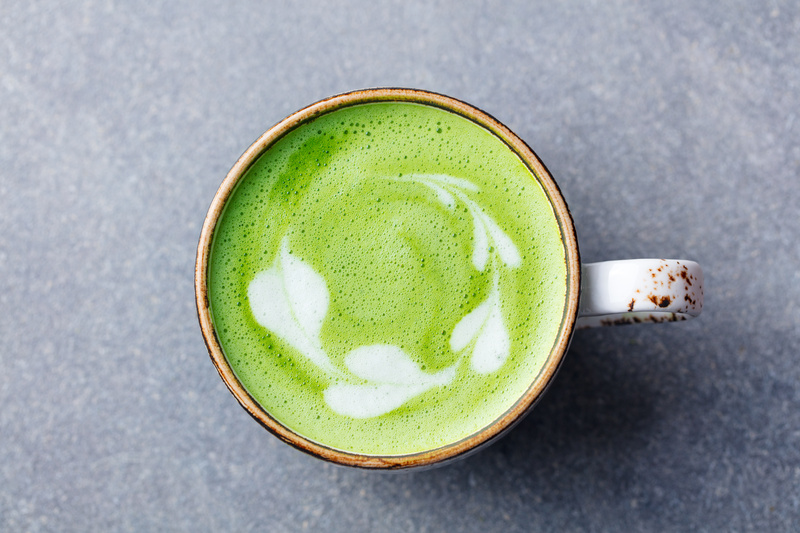 Making a matcha latte does take a little bit of time (it doesn't happen at the touch of a button!) but it's 100% worth it. It’s considered a ceremonial tea, which I might love the most about it and the little bit of extra mindfulness it calls for. Here’s how I make mine! To make it you'll need a handheld milk frother and an electric milk foamer (if you want to go all out!). Put one heaping teaspoon of matcha powder in your cup and fill it with hot water, about halfway. I like to use 50% water and 50% coconut milk, but you can use more milk or more water if you like. Try it your own way! Traditionally, the matcha is mixed with a bamboo whisk, but I do it with a handheld spinning milk frother. Mix for 20-30 seconds or so and make sure there are no lumps of powder left in the water. While I'm mixing the matcha, I heat coconut milk in my electric milk foamer - this is overkill but makes the latté extra hot and foamy. If you don't have an electric one, you can simply heat the coconut milk on the stove and foam it with the same frother you used to mix your matcha. Add a teaspoon or so of maple syrup to the tea, and then top it off with the coconut milk. Matcha itself has a sweetness to it, but you might find that you want it sweeter. Add more maple syrup if needed. Besides my fancy gadgets, it’s super simple! Enjoy without the use of your smartphone! Drink it mindfully, fully present with the warmth, sweetness and nourishment of the cup in your hands and the day unfolding around you. Starting your day in ceremony sets the tone for a divine day ahead. Find more recipes, meditations and practices in ceremony and mindfulness over on oneOeight.com! Are you a matcha lover, too? What’s your favorite way to mix it into your drinks (or food)? Share with us below!